Our sunlamps are made to be used all over the world. We use ballasts that can be used with voltages ranging from 110-220v. For international customers, we can even send you an international power cord so that you can plug it into outlets outside of North America. We can supply cords for: US/Canada, United Kingdom, Europe and Australia. When you place your order, if you have an international shipping address, we will automatically include the correct power cord for your region. If you already have a sunlamp and just need the international power cord, you can get in contact with us to order one for only $12 plus shipping. The bulbs in your Fiji Sun Tanning Lamp have a 1,000 hour lifespan. Once the bulbs are ready to be replaced, there are just a few simple steps towards getting your sun lamp back to working properly. Remove wire guard by compressing either side away from the metal housing. Remove the 2 screws from the upper and lower left side of the unit (opposite from the power switch and timer). Then remove the 1 screw on the left end of the unit. Once all 3 screws are out, you can fully remove the left panel of the unit. Rotate each light tube one quarter turn in either direction. When you feel the tube come lose, you can pull the top part of the tube towards you and then lift it out of the unit. Remove all light tubes in this manner. Align bottom pins of replacement tube with the opening in the right side light holders. Straighten the tube and insert it into left side light holder. Rotate each tube one quarter turn, making sure the label/etching is facing you. Repeat for all 4 tubes. Replace the left side panel with screws. 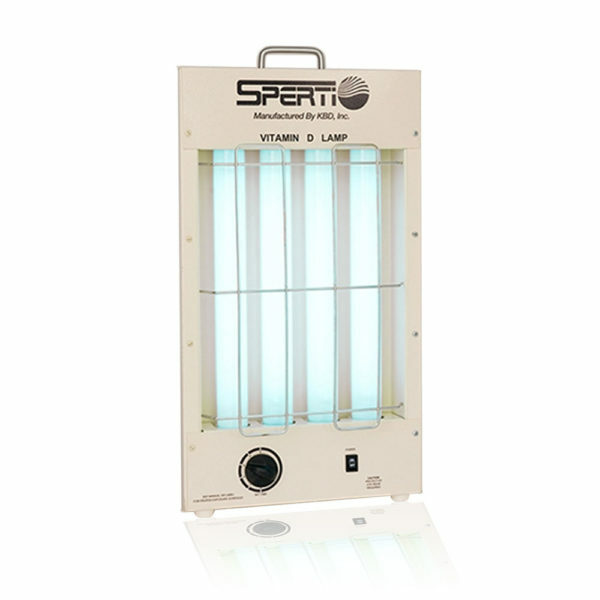 The bulbs in our Sperti Vitamin D Light Box have a 1,000 hour lifespan. When you are ready to replace the bulbs, it just takes a few simple steps and then your light box will be ready to go. Remove the top front screw from both sides of the unit as well as the screw on the top of the unit. Once all 3 screws are out, you can fully remove the top panel of the light box. Align bottom pins of replacement tube with the opening in the bottom light holders. Straighten the tube and insert it into top light holder. Rotate each tube one quarter turn, making sure the label/etching is facing you. Repeat for all 4 tubes. Replace top panel with screws. Is the timer on your sun lamp stopping before the time runs out? If yes, then the timer knob has gotten pushed in and simply needs to be popped back into place. Sometimes during shipping or regular use, the timer knob can get pushed in and cause it to snag on the screw behind it. If this happens, it is an easy fix that takes about 1-2 minutes. In order to get the timer back into place, you will need something to put behind the knob to push it forward – a butter knife or flathead screwdriver work well. Start by putting the flat object behind the timer knob. Gently make your way around the knob, slowly wedging it forward as you go. Once the timer gets pushed forward, you should be able to see a gap between the back of the knob and the sun lamp. If the knob gets completely detached from the unit, simply put it back into place. Now that the timer is back in place, your sun lamp is ready to go! If you ever have any questions or concerns about your sun lamp, remember to keep in mind that our customer service center is always here to help. Trying to decide which product is the best for you? Give us a call. Wondering about the warranty of your sun lamp? Give us a call. Experiencing an issue with the delivery of your product? Give us a call. When using your sun lamp, there are a couple important instructions to follow in order to make sure you are getting the most benefit from your light. Make sure to have the light shining directly on your skin. In order for your body to be able to have a reaction from the UV (whether it is producing vitamin D or tanning your skin), your bare skin needs to be exposed to the light. Always wear your protective eye wear when using the light. The 2 pairs of eye wear that came with your sun lamp, provide 100% UV protection. Don’t use the lamp for longer than advised. The FijiSun Tanning Lamp has a 15 minute maximum and the Vitamin D Lamp has a 5 minute maximum. Keep in mind that the units do not give off any heat – just because you don’t feel the light, doesn’t mean it’s not working. By following these simple directions, it will insure that you get the most benefit from your sun lamp! If you have an older model Sperti sunlamp from about 8 or more years ago, this post is for you. Our model: Del Sol was discontinued about 8 years ago. This unit was used for vitamin D or tanning and only used 1 bulb. We carried the replacement bulbs for about 5 years after the unit was discontinued and then the machine that was used to produce the bulbs stopped being serviced so we can no longer offer them. Our new sun lamps are now FDA approved and have some updated technology, so it can deliver greater results than the older model. During the holidays, buying gifts can be very stressful. If you know someone that likes to tan or has a vitamin D deficiency, then a sun lamp is the perfect gift! With our simple to use lamps, it makes getting UV exposure at home fast and easy. Especially during the cold, dark winter months, it can be hard to get outside and spend time in the sun and it can be expensive to go to a tanning salon every week. With the Fiji Sun Tanning Lamp, you can get a safe, gradual tan from the comfort of your own home! 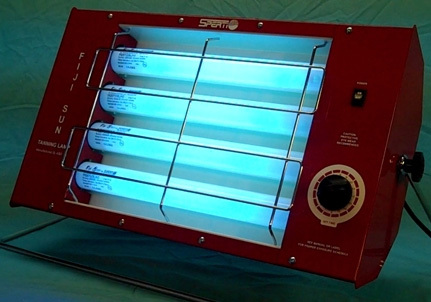 The Sperti Vitamin D Light Box is more efficient than taking oral supplements and it only takes 20 minutes a week! If you are on the fence and not sure of your loved one will appreciate the gift of light, remember that we have a 60 Day Money Back Guarantee. This means that they can return the product within 60 days from the date of purchase, no questions asked! Depending on your skin tone, sun lamps can have a different effect. For someone with a lighter skin tone, your skin may turn pink after using a sun lamp. This is completely normal as it is just your skin’s reaction to the UV. While someone with a darker skin tone, may not be able to absorb the UV as well. 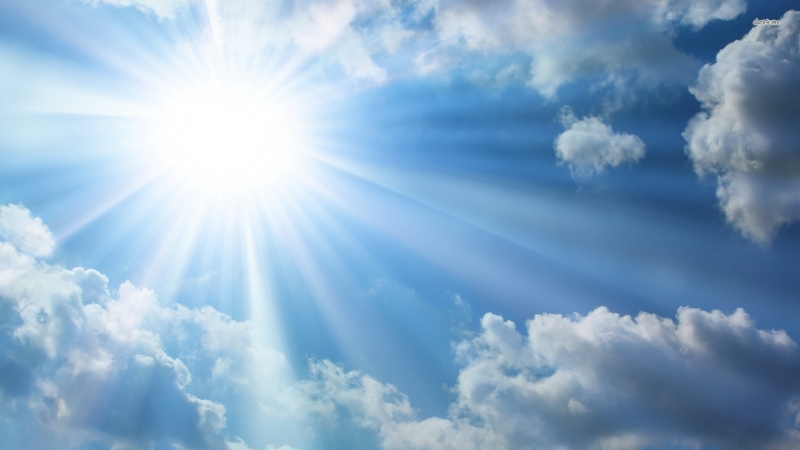 People with darker skin do not absorb UV as quickly so it can take a little longer to raise your vitamin D levels. When it comes to the Fiji Sun Tanning Lamp, your skin type will determine how long you should use the unit. Someone with fair skin should start off using the light for no more than 3 minutes while someone with darker skin could start using it for about 4 minutes. This may not seem like a big difference but when it comes to UV exposure, every minute counts. Just keep in mind that turning pink is a normal result. It means that your body is reacting to the UVA and the pinkness will gradually turn into the desired tan. Always remember to read through the instruction manual before you start using a sun lamp and make sure to always wear your protective eyewear.